The Campus Farm provides a place on campus where you can do gardening. Here, you can set up your own little garden or vegetable patch, just the way you want it. 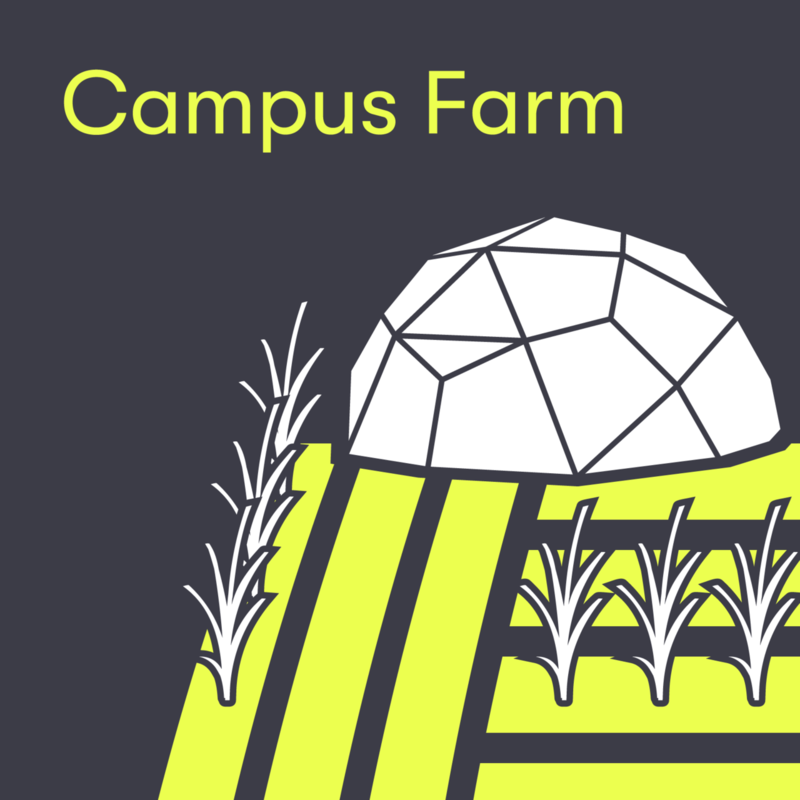 The Campus Farm is an initiative that encourages and inspires sustainable food production on campus. It’s a social place that brings people together and encourages them to share ideas about gardening. It’s a actual green community! Are you an outdoorsy kind of person, not afraid of occasional dirty fingernails and do you enjoy gardening? Whether you are an experienced gardener or a novice, you can have your own garden or veggie patch that you can consider your own garden. You will be allocated a plot that you can treat as your own garden. It will be up to you, possibly together with others, to plant and do your gardening whenever it suits you. During the Gardening course you will be immersed in the cultivation of plants. The lessons take place at the Campus Farm. The focus of the course is on edible plants and working in a natural way, without the use of artificial fertilizers and pesticides.